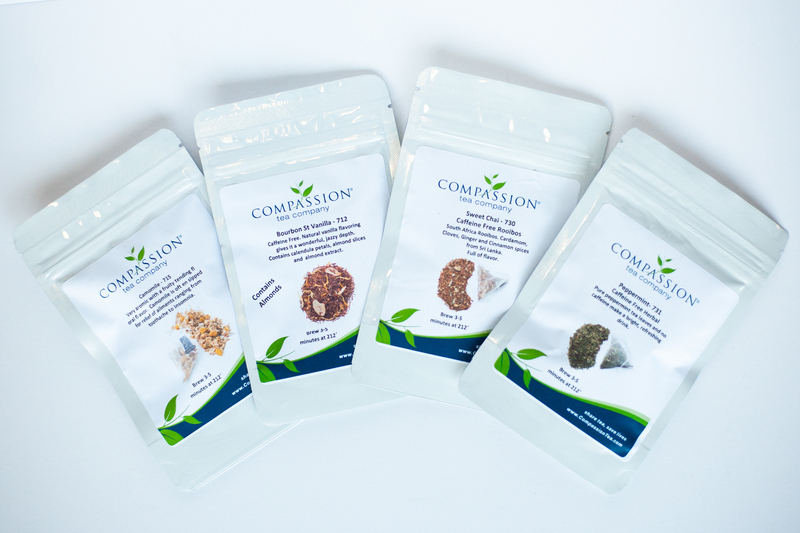 The Compassion Herbal Tea Sample Pack contains four herbal teas that contain no caffeine, but plenty of gentle, full flavor! Enjoy for yourself or give as a gift to a friend. All four flavors are tucked into an attractive white pillow box. Camomile - Very aromatic with a fruity tending floral flavor. 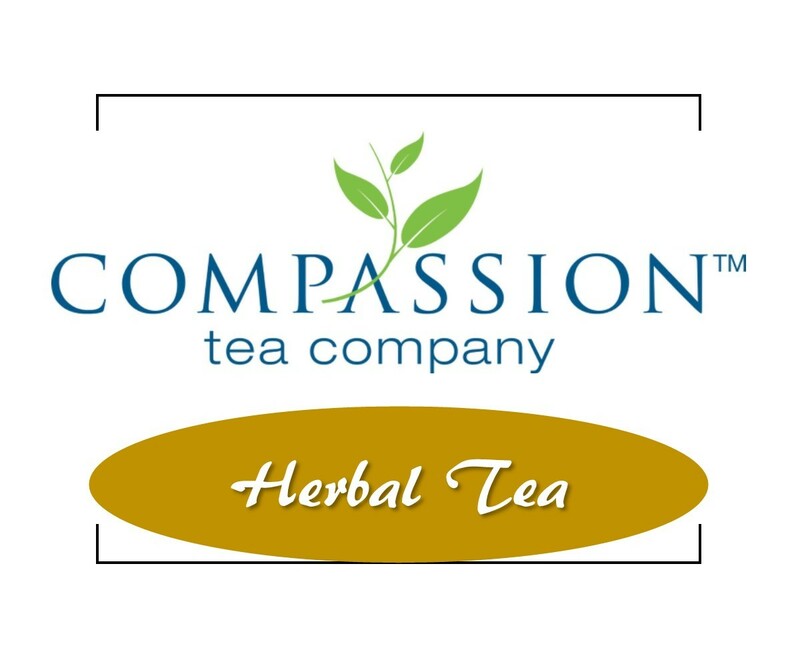 Camomile is often sipped for relief of ailments ranging from toothache to insomnia. Bourbon St Vanilla - Exceptional blend. Fruity with sweet notes. 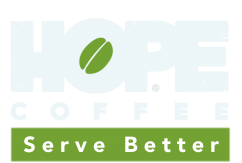 Natural vanilla flavoring gives it a wonderful exotic jazzy depth. Contains Red Rooibos, calendula petals, almond slices and almond extract. Sweet Chai - Rooibos - A caffeine free rooibos flavored with cardamom, cloves, ginger and cinnamon spices from Sri Lanka. Full of flavor. May add milk and sugar. Peppermint Herbal - Pure peppermint tea leaves and no caffeine make a bright, refreshing drink. Serve hot or cold.